Composed by Phillip P. Bliss. Arranged by Christine Sullivan Robbins. Christian, Sacred, General Worship, Lent, Recital. Score. 6 pages. Published by Christine Sullivan Robbins (S0.198799). 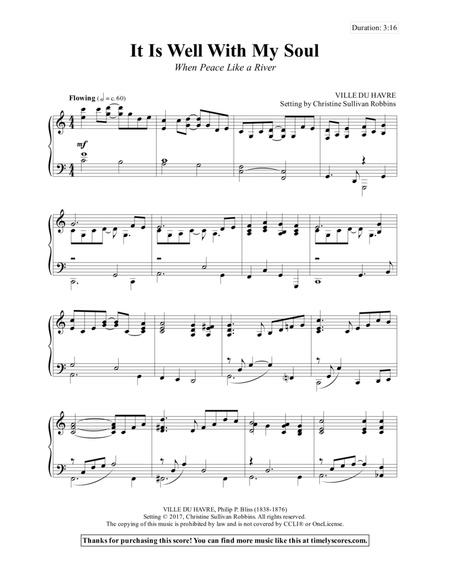 This breezy piano arrangement of the much-loved hymn tune Ville du Havre can breathe fresh hope and confident faith into church services and recitals. 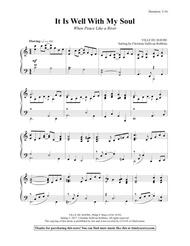 A real delight to play, listeners will enjoy hearing this as a prelude, offertory, or postlude selection.